Spiders, Keeping them out of the fuel lines! 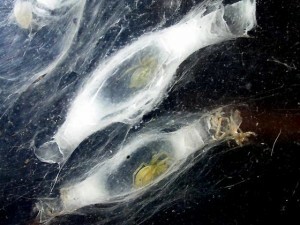 Cheiracanthium mildei and Cheiracanthium inclusum – more commonly referred to as yellow sac spiders – have been known to nest inside vehicles in North America, causing problems for car owners and automakers alike over the years. Instead of using webs to catch prey, these spiders build cocoon-like webs for shelter and to lay eggs. Their home is dense enough to potentially block fuel vapor lines, which can lead to engine damage and diminished vehicle performance. David Gimby, Ford fuel systems engineer, began looking into how to keep spiders out of Ford vehicles back in 1999. 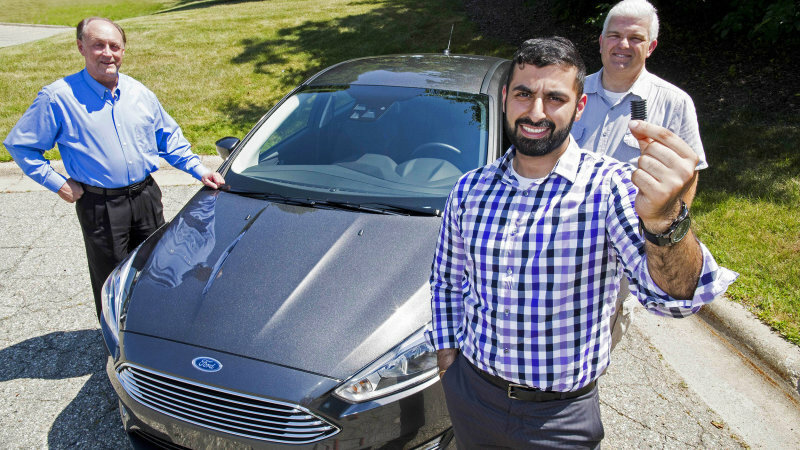 Having no background in arachnology, he researched the life and science of spiders and in 2004 Ford produced its first spider screen, which has kept spiders from nesting inside Ford vehicles for years. The technology continues to evolve. Ford engineers worked on an improved spider screen that is being implemented across the Ford lineup in North America. It will go global with the launch of the all-new 2016 Ford Focus RS. Keeping fuel vapor lines clear is key to air and vapor circulation for a vehicle’s carbon canister, where fuel vapors are captured so they don’t enter the environment. The Ford-developed spider screen keeps spiders out of the line, but allows air and vapor flow for optimal vehicle operation. 0 comment(s) so far on Spiders, Keeping them out of the fuel lines!